The Concordia Stingers made a heavy splash on the recruiting front with the addition of Bemidji State forward Dylan McCrory. The Montreal native transferred from the division one school in the United States in order to give his career a fresh start in U Sports. “It’s a new opportunity. I was somewhere where I wasn’t having the greatest experience [at Bemidji State] so I’m excited to start a new chapter,” said McCrory. Not only is it a major addition to a roster that needs offense after the losses of top forwards Anthony Beauregard and Massimo Carozza this offseason, but it also comes at the expense of cross town rival McGill, where McCrory had originally planned to play after his transfer. “[McCrory] has skills, he’s gonna produce. We need that because we lost a lot of offense [this offseason],” said head coach Marc-André Élement. After McCrory watched the Ontario University Athletics Eastern Final between Concordia and McGill, he knew U Sports would be a good fit for him. “It seems like my type [of style]. 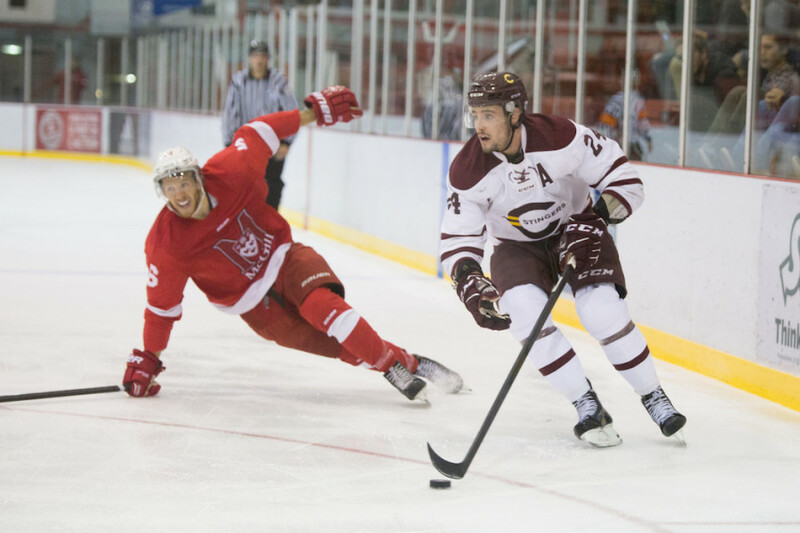 A lot of high speed and skill plays,” said McCrory who was playing in the Alberta Junior Hockey League with the Brooks Bandits before he joined the NCAA. With the Bandits, McCrory scored 70 points in 60 games and won the AJHL championship where he was named playoff MVP. His teammate that year was Cale Makar, fourth overall pick of the Colorado Avalanche in the 2017 NHL draft. At five foot nine, he’s a smaller forward and plays an offensively creative, speed-based game and has a strong scoring touch around the net. McCrory is spending his offseason training with Stingers defenders Carl Neill and Matthieu Desautels, getting used to a team that’s happy to be adding him to their lineup.